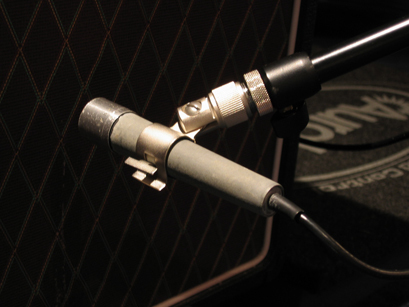 Small microphones manufactured as part of add-on kits for Akai reel-to-reel machines. Excellent for “effecty” recordings. Typically used on acoustic guitar and vocals and occasionally on drums. Also work well plugged into a tuner. 1/4” high impedance jack requires direct box usage for recording.